My family has been a Sprint wireless customer for more than 10 years. We’re happy now, but six years ago we almost fired Sprint due to dropped calls, billing problems and limited support for newer smartphones. Ironically, if we had called to complain often enough, Sprint would have fired us! That’s right, in June 2007 Sprint fired about 1,000 of its 53 million wireless customers for excessive calls to the contact center, mostly for billing and general account issues. In termination letters to offending customers, Sprint matter-of-factly said that “the number of inquiries you have made to us during this time has led us to determine that we are unable to meet your current wireless needs.” Sprint generously zeroed out the affected customers account balances and said it would not charge an early termination fee. Simple and straightforward. Imminently reasonable. What could possibly go wrong? First, the decision set off a firestorm of mostly bad publicity, a time when the carrier was struggling to compete with other major wireless carriers (AT&T, T-Mobile and Verizon). Sprint’s ACSI customer satisfaction rating was an industry-worst 61 in 2007. Whoever said “there’s no such thing as bad publicity” is invited to explain how firing customers helped Sprint. Firing customers just deludes management that they have solved the underlying problems. I called company executives “Sprinting Idiots” in a comment on a 2007 CustomerThink blog post. Since then, that post has accumulated nearly 15,000 views—a tiny fraction of the millions of negative impressions that the “Sprint 1000” incident precipitated. Second, and perhaps much more important, Sprint didn’t address the reasons for the excessive phone calls. In a customer service equivalent of “shoot the messenger,” management decided that since they had worked to resolve issues to “the best of our ability,” the only option left was to cut loose customers it couldn’t satisfy and cost too much to serve. In the debate that raged on social media in the following months, some sided with Sprint’s decision because it made economic sense. Why keep customers you can’t serve at a profit? Many others pointed out that firing customers just deludes management that they have solved the underlying problems, and doesn’t factor in the cost of the negative publicity. 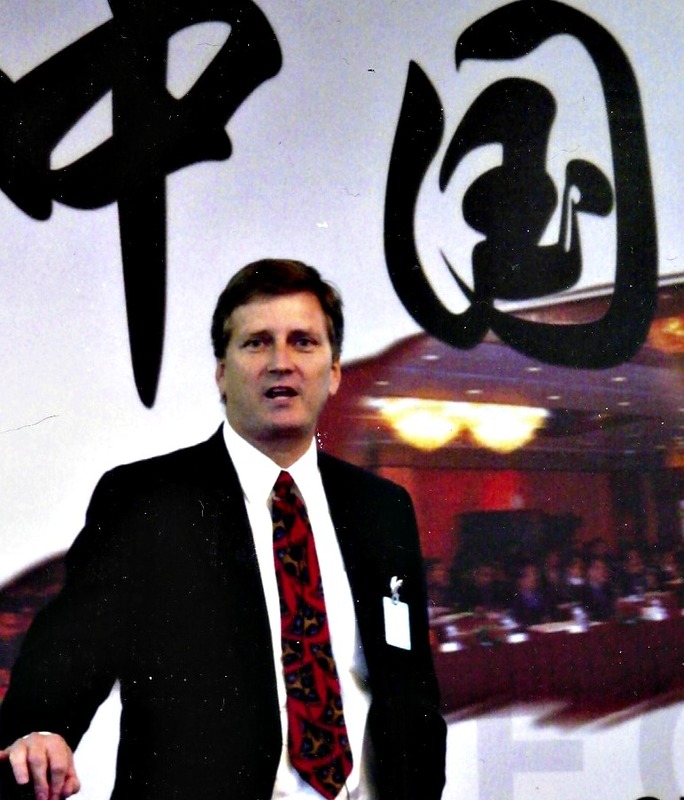 To deal with this big hot mess, Sprint’s board of directors appointed Dan Hesse as the new CEO in December 2007. Shortly thereafter, Sprint posted a stunning $30 billion loss for 2007, much of it due to a write-down on the ill-conceived Nextel merger. Hesse began his tenure by laying off 4,000 employees and closing 125 stores. (No word on whether fired workers were invited to join the Sprint 1000 customers at another carrier.) In 2008, Sprint lost 5 million subscribers, resulting in a 32% year-to-year decline in wireless revenue. Dwindling cash reserves put the company at serious risk of going out of business. Fast forward five years, and Hesse had accomplished an amazing turnaround. Sprint’s ACSI score climbed 10 points to an industry-leading 71—the biggest improvement of any company in any industry—and was ranked number one in call center satisfaction. J.D. Power and Associates ranked Sprint best in the purchase experience among full-service wireless providers, for the third year in a row. Revenue and subscriber growth returned, although financial performance was uneven, to put it mildly. How did Hesse do it? Given the bleak situation, he could have continued to slash costs, hunker down and hope for a buyer to rescue the company. Instead, taking a customer-centric approach, he directed the organization to fix its customer service problems and improve the customer experience. Let’s take a closer look at Sprint’s turnaround though the lens of my five customer-centric habits. I emphasized “choose” because it’s really the key to this entire turnaround. Genuine loyalty is a choice by the customer, not a lock-in by the company. Two-year contracts and employer-mandated phones can give the appearance of loyalty (retention) while unhappy customers are just waiting for the first chance to bolt. Sprint “listened” to customer feedback using transactional data, customer escalations, industry benchmarks and social media. Poor service experiences was determined to be the major culprit in customer dissatisfaction, which deteriorated due to cost cutting after the 2005 Nextel merger. In all, they identified 35-40 problems driving dissatisfaction. One simple example was an “over engineered” rebate process that frustrated customers and drove unnecessary Sprint calls and store visits. The current hype about Big Data and analytics might lead you to believe that you can feed data into an analytics tool and have the “answer” pop out. Nothing could be further from the truth. Documenting an “ideal customer experience” that detailed what customers expected and needed, and identified areas for improvement. Creating a compelling business case for fixing service problems based on cost per call, a well-established metric with clear business impact. Sprint had double the call volume of its competitors, which cost the company millions of dollars per year. This actually helped the business case, because fixing service issues was relatively easy to justify based on cutting call volume. Improving retention rates was an additional, albeit more long-term, benefit. Sprint “listened” to customer feedback using transactional data, customer escalations, industry benchmarks and social media. Certain problems required sophisticated cross-channel analytics to uncover. Lance Williams, Sprint’s Director of Customer Management, explained that in 2008 Sprint had the worst IVR customer satisfaction in the industry. Analytics revealed why customers quit an IVR interaction to call a live agent. Armed with this insight, they made usability improvements that vaulted Sprint’s IVR customer satisfaction into an industry-leading position by Q4 2009. As a result, the contact center completed “tens of millions more calls” in the IVR in 2009 vs. 2008. Sprint’s customers were less frustrated and the carrier reaped huge cost savings. In another example, analytics also helped Sprint learn that new customers who called significantly more often than average had much lower customer satisfaction. So they created a specialized “early device treatment” program that improved First Call Resolution rates and CSAT—a remarkable achievement considering that devices (smartphones) were getting more complex during this period. The company is lacking direction right now and with past troubles, the management is struggling to find a strategy to turn around the company. The recent layoffs have disrupted morale and efficiency in the company. News or rumors of future layoffs only make it difficult for employees to focus on their jobs. Constant reorgs are also to blame with efficiency as too many things changed too quickly, again without any direction. No doubt low morale was a factor in poor customer experiences. In the commentary surrounding the “Sprint 1000” debacle, many said that the excessive calls were the result of dealing with Sprint employee that could not take care of a problem, getting transferred around, and even being dropped and having to call back. In short, customer wanted more “one and one” calls. I’ve written previously that authority, insights and motivation are key to empowering call center agents to improve First Call Resolution (FCR) and delight customers. Sprint has invested in an array of call center technologies and software applications to help agents resolve service requests more effectively. However, it’s not clear that any specific solution had a transformative impact. Rather, it was Hesse’s decision to make customer experience a corporate goal, and the use of analytics to focus on the right problems that made the biggest difference, in my view. Customers were taking to social media to vent about problems, so why not equip Sprint employees to engage and help? All too often, support issues are dumped on the contact center, including problems created in product development, marketing or elsewhere. Sprint’s Social Media Ninjas program is a brilliant use of social media to unleash the influence of thousands of employees to re-build its brand. As of December 2012, 2,700 Ninjas were helping to improve reputation using their personal networks to engage with customers. Inviting all employees to lend a hand helping customers also sends a message that delivering a great customer experience is everyone’s responsibility. By 2013, employee morale had noticeably improved. On Glassdoor, one account executive employed for eight years called his experience a “wild, awesome ride” and gives Sprint management good marks for innovation, cleaning out poor performers, and listening to employees. Hesse has earned a 79% approval rating, significantly better than his peers at major wireless carriers. Still, Sprint currently has a tepid 3.1 or “ok” Glassdoor rating (scale of one to five) amid continuing complaints about constant layoffs, declines in benefits and continued uncertainty. Clearly there’s much more work to be done. Larger carriers AT&T and Verizon have low churn rates of approximately 1% for postpaid wireless, which means relatively few opportunities exist for Sprint to poach customers. Fast, reliable networks; the latest smartphones and aggressive pricing are also essential to woo new customers. In 2008, while customer service improvements were underway, Hesse also got to work on better solutions and pricing. Shortly thereafter, Sprint launched unlimited data plans, one of the key reasons our family has remained “loyal” over the years. With service problems mostly in the rear-view mirror at present, good economics for the family reduces motivation to switch. Unfortunately for Sprint, AT&T got initial exclusive rights to Apple’s iPhone when it was launched. In late 2011, Hesse finally added the iPhone, paying dearly for the privilege. According to the Wall Street Journal, Sprint agreed to purchase 30.5 million iPhones worth $20 billion, which will keep the company in the red for years. Still, I like the fact that Hesse went “all in” because without the latest phones, he has little chance to grow. Now that Samsung has become a strong No. 2 in smartphones, Hesse will have more bargaining power in the future. Sprint’s network has also been a cause for concern. Over five years or so, Hesse wound down the Nextel network and transitioned customers to the main Sprint network. He is still behind his bigger rivals in rolling out the faster LTE networks, but hopes to catch up by the end of 2013. Add it all up, and my take is that Sprint is still trailing on technology but makes up for it with more compelling all-you-can-eat contracts, which Hesse pledges to continue. DELIGHT: Exceed Expectations, Be Remarkable! Sadly, “delight” is a word not often heard attributed to wireless telecom carriers. Much of Sprint’s efforts to improve the customer experience I’d classify as fixing dissatisfiers that destroy value and stimulate churn. But lack of pain is not the same as delight. To be a true industry leader and break out of commodity hell, delight is a critical strategy to differentiate and build genuine customer loyalty. One huge challenge is that smartphone suppliers get credit for “wow” and carriers tend to get blamed for problems. A 2011 Harris Interactive study confirmed that more than two-thirds of U.S. smartphone users surveyed experience network service issues during common activities like Internet searches, data downloads, watching videos and social networking. Unfortunately, nearly half the users blamed their wireless network provider for these issues. To be a true industry leader and break out of commodity hell, delight is a critical strategy to differentiate and build real customer loyalty. Sprint’s overall customer satisfaction improved dramatically from a horrible 56 in 2008 to a competitive 71 in 2013, similar to its major rivals. However, smartphone vendors have enjoyed much higher ratings, especially Apple which currently tops the charts at 81. Sprint and all wireless providers in a difficult position, generally viewed as a utility. Forest Morgeson, Director of Research at ACSI, says wireless telecom is turning into a commoditized market, with similar services and pricing available from several suppliers. ACSI’s research finds that smaller carriers (those grouped in ACSI’s “all others” category) exceed expectations mainly by offering substantially better prices. On that note, one of bright spots for Sprint is the award-winning Boost Mobile, which offers no-contract phones and wireless service. Low pricing for unlimited usage, coupled with “shrinking payments” as a reward for loyalty, combine to make “value” a big drawing card. So, is price cutting the answer to delight? No, this is not a viable option for the big carriers in my view. Customers already view wireless telecom as a utility; this would just be a race to the bottom that could only be be “won” by the carrier with the lowest costs. The answer may lie in understanding “delighters” by customer segment. Bain’s consultants Domenico Azzarello and Mark Kovac sum up the problem well: “With penetration flattening (wireless penetration in the US, for example, is nearly 100 percent) and competition intensifying, companies must fight for market share as never before.” Bain’s research found that some customers like to notified when they go over their plan limits, others value a single point of contact, refunds for dropped calls, referral bonuses, etc. It should be patently obvious that Hesse’s leadership is the main reason for Sprint’s turnaround. While Sprint clearly has much work ahead, the company is in a much stronger position now. The recent merger with Softbank adds $5 billion of new capital to help fund the ongoing battle to deliver the best wireless experience. But it should also be clear that he didn’t make this happen just with speeches and “the customer is king” proclamations. Here are some key actions by Hesse that stand out to me. Made the customer experience a top priority, then directed the organization to find and fix the problems that were causing customer dissatisfaction and churn. Recognized that price was a strong lever in a market increasingly viewed as a utility. Unlimited and lower-cost plans have helped Sprint battle back against much larger rivals AT&T and Verizon. There’s not always a pot of gold at the end of customer-centric rainbow. To support these initiatives, Hesse also understood a key point about customer-centric “habits.” Namely, you have to make new behaviors a part of the culture, so it becomes the way business is done routinely. Tops on Hesse’s “magnificent seven” change-drivers is “align compensation and rewards.” Employees must be measured and rewarded for executing any business strategy. Long-term vision. Must be able to define the “end state” that the organization is striving for, and explain why the journey is worthwhile. The role of Chief Service Officer Bob Johnson (Adriano’s boss) is also interesting. Pre-Hesse, Johnson helped the company execute a cost-cutting strategy. After Hesse changed direction, Johnson focused the organization on improving the customer experience. This illustrates that the role of Chief Customer Officers is still largely supportive of the company’s business strategy, which must be driven by the CEO. Sprint’s turnaround from “worst to first” from 2008 through 2012 is remarkable. However, as this article is published in mid-2013, Sprint’s position is competitive but hardly leading in all categories. In postpaid wireless, J.D. Power ranks Sprint well behind Verizon in network quality. Churn for postpaid contract is still hovering around 2% per year, about double its larger rivals. This real-world example of five customer-centric habits at work shows there’s not always a pot of gold at the end of customer-centric rainbow. 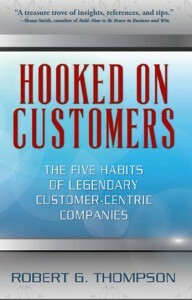 Sometimes, customer-centricity keeps a company in the game to keep up the good fight, so it can prevail another day. I hope Sprint does, because as a customer I like much of what the company is doing. And, underdogs always make a good story! 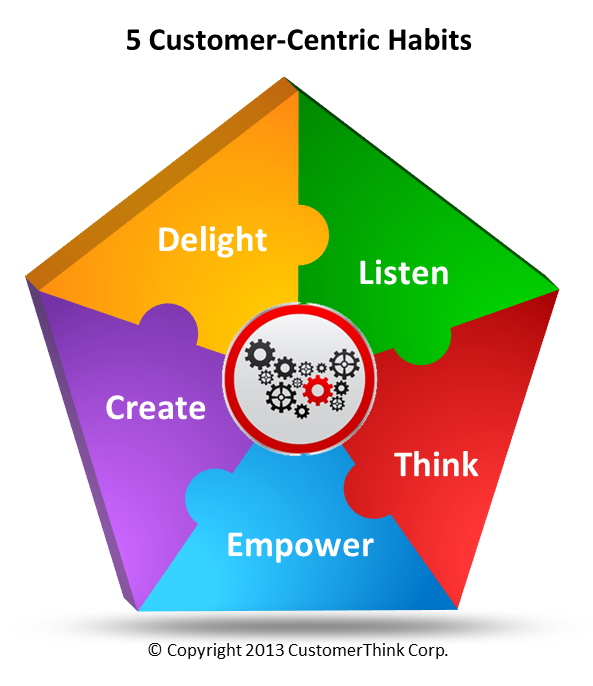 Listening to the Voice of Customers: Can You Answer These 5 Key Questions? Nice write-up Bob. My initial reaction to the firing of high cost (low value) customer would be a great idea. However, as it appears, Sprint did not put ‘enough’ effort to identify the root cause of the crying customers. Coming up with differentiated product such as Boost Mobile in my mind is a good strategy to expand its coverage. Some do this via MVNOs, creating a separate entity altogether to target a different customer segment. This is an excellent article with a well thought out plan that all companies should follow. I find that when I work with clients it truly is about defining what the Ideal Customer Experience looks like at every touchpoint and examining what can be done to make the customer glad they are doing business with you. Empowering teams to act as if they own the company to work with the customer is crucial. Binding the hands of staff does nothing more than frustrate customers and lower the morale of staff. Encourage, empower, and learn from their decisions while working to do what they can to delight customers earns that loyalty by choice. Once companies understand that the key is to delight your current customers, the culture shift takes place from always attracting new customers due to attrition and becomes focused on turning existing customers into a secret sales force. Thank you for thoroughly documenting events to put Sprint’s ordeal into context. I can appreciate where things went wrong and what’s Sprints’ blueprint to Customer Service success. Great article. I’ve come across this article through the CustomerThink Linkedin Group, which I joined recently. I totally agree with that wireless telecom is turning into a commoditized market. So the only way to stand out is by understanding ‘delighters’. For example, ask your customers what they would like to see changed or add to the services you’re already providing. You have done a great job Bob , and this article is very informative. The tricks employed by Sprint to raise up again can be emulated by other companies. At this time and age, no company should ignore the power of social media and its engagement, has it open the doors to understanding the needs of the customers or users who might have great ideas about product or service improvement. Thank you for the article Bob.